Hey everyone, so as the title states, I am currently in the process of adopting a mustang. My goal is to purchase/adopt a young filly (hopefully to mature around 16hh)with limited human exposure and spend the next year training her. This is a dream I have had for a while, and I am finally at the point in my life where I feel prepared both timewise, and financially. My question is, where do I begin looking for said filly? I've scoured FB and BLM website, but I am unsure of how to select the appropriate horse-I typically end up just gravitating towards the horses over 15.3hh. My issue is, I am over in NC and the majority of these horses are out west. Has anyone ever adopted just off of photos? Also, any transporting tips? Thanks in advance! P.S. feel free to share photos of your mustangs, would love to see photos of what these guys can do! Don't follow your dreams, chase them. You mention being prepared time and money wise, but what about training wise? Do you have experience dealing with a wild and potentially dangerous horse? If not, can you volunteer to work with a trainer that handles wild horses so that you can gather more specific experience? I'm assuming you have or will put up 6ft fencing with a shelter for the filly. Do you have an experienced mustang trainer or two to help you out if and when you get stuck or run into problems? There are several mustang groups on Facebook with TIP trainers that will help you with all questions and some may be able to help you pick out the right filly. If you have Facebook, it would be a good idea to join those groups. phantomhorse13, EliRose, kewpalace and 2 others like this. I've known of one person who has bought a horse from interstate just from pics & done OK... mind you, she's not fussy about state of the horse, is a bodyworker & a bit of a 'rescuer', and she doesn't ask anything more strenuous of her horses than trail riding. I've known of a number of people who have bought horses sight unseen & they were bad deals. I wouldn't do it. But as for mustangs, there are just sooo many that need rescuing from those awful holding pens they have to cram them in. If we did that to our brums, I'd consider taking one without meeting, if I couldn't get there. Yeah, not big on American geography, but I wouldn't imagine there are too many wild mustang around NY, so it would also involve transporting, which will be very stressful for the horse & require a cattle truck or such, if the horse hasn't even been trained to lead. I wouldn't want to haul one a long way by itself either. And I would NOT keep one by itself either. So after arranging transport, you'll need to arrange safe accommodation - as secuono said, not your average horse paddock, unless you find one who has learned to respect fences. I took on some basically feral horses a while back, they had been just allowed to run free & breed for a few generations on a few 1000 acre property, rounded up & put through a race once a year to be drenched & some sold off. So they were unhandled, frightened of people, but they did know what fences were, so we were able to bring them home to our regular paddocks. We kept them in a 1/2 acre yard, fed & watered by hand for the first month, until they were comfortable with us & OK being 'caught' & haltered & led. Then we let them out on the 40 acres with the rest of the mob. also, look up the Mustang Heritage Foundation, they have a contact person in North Carolina. Last edited by Avna; 04-13-2019 at 08:17 PM. I went to a Mustang adoption (just to look, not to adopt) and the guy there seemed pretty knowledgeable about their horses. Granted, some of the horses went through an inmate training program, so they knew quite a bit about those, but even the untrained horses, many were friendly and came to the fence and the guy in charge there said he picked those out on purpose, because a friendly horse would be more likely to go home with someone. So they at least know which horses are friendly and a little of what their personalities are like. I guess if I were adopting sight-unseen I would try to get in contact with a person that interacts with the horses on a daily basis. I don't know if all the Mustang holding areas have a knowledgeable person like that, but the guy at the adoption site I went to did. The ones I saw were from the Florence Prison training program in Arizona, but that is a LONG way from you. I did own the most WONDERFUL Mustang some years back. He was a trail-horse deluxe, just the most wonderful trail horse ever. He came from Wyoming originally but I bought him from a guy here in Arizona. Already well trained, so I can't take any credit for that. I can't sing that horse's praises enough! Unfortunately he died of colic in his early 20's or I would still have him to this day. I think he had a little draft in him. He was short (maybe 14.3) but WIDE. Best, best, best, most wonderful trail horse ever! My folks told me they never worried when I rode him because he was like another parent taking care of me. And he was. Rawhide, amg800, EliRose and 2 others like this. I have a friend from NC that went to the prison action in Carson to adopt a horse. Her and her friend traveled together and trailered the horses home, stopping to trail ride along the way. I believe her friend adopted several unstarted horses from the blm online website and had them trailered to the closest point. I don’t really know much about it, but she sounded successful in her ventures. I have one myself, but I bought him at the prison auction because I needed one started at the time for work. loosie, Rawhide, ClearDonkey and 1 others like this. That's good to know, I hadn't really thought about the respecting fences piece. Thanks for the tip. Wow, did she pick them up from Nevada? That's good to know that there are success stories from the internet adoption page. I am hoping to connect with some people within the area of NC who also have experience training a mustang. Do you by chance know if I could get in contact with her? 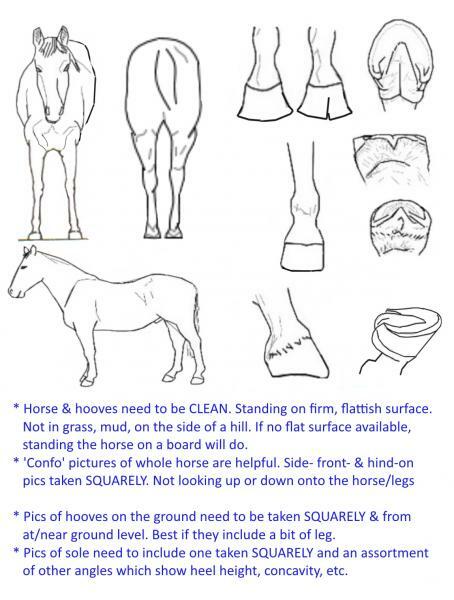 Do you have a filly/horse already paperwork started on? Why are you not looking into a Corolla baby from the wild herds there in your state? Those that have gone through desensitizing programs from any source are not un-handled babies as you mention wanted but are already started down the path of domestication. I know the BLM mustangs required a livestock style trailer...full, tall rear door no ramp trailers. Special accommodations of very tall fences in place at the barn facility so they not jump-out or smash into hopefully in their fight for their freedom.. The BLM has adoption programs and traveling horses reaching many states for their adoption clinics...here in FL they come a few times a year with animals..
Not sure where else they go, nor which herd the animals come from as that makes a difference too is my understanding.